Latac Serinet stimulates the optimal development of the young and correct their vitamin levels to obtain a good state of health. 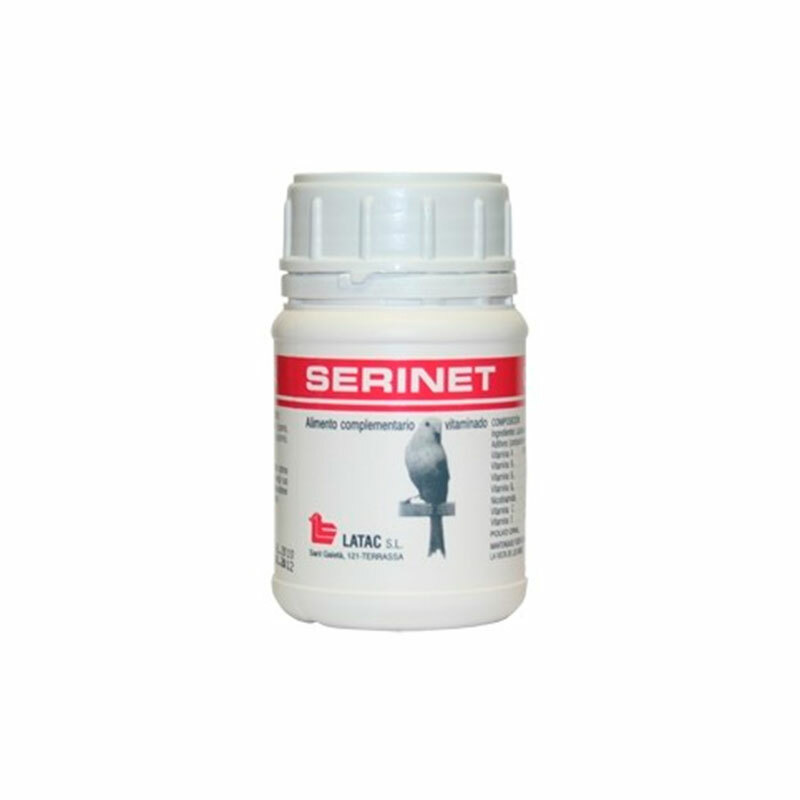 Administer in breeding paste, feed or drinking water. During breeding or as a vitamin throughout the year. Newborn chicks: 1/2 to 1 measure flush for each 100 g of breeding paste, during the first 21 days of life. Adults: 1/2 to 1 measure flush with 100 ml of drinking water or feed for 5-6 consecutive days. This dose corresponds to canaries and goldfinches, etc. For parakeets, parrots, parrots, etc. It is twice the indicated dose. A measurement equals 1 gram. Vitamin A ...................... 1,000,000 U.l. Presentations: 40gr and 120 gr.